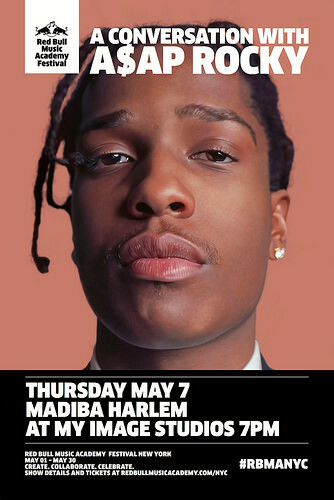 Among the young torchbearers of NYCs prestigious rapping tradition, A$AP Rocky’s light shines as one of the brightest. Stepping on to the scene with a fully-formed vision and a mouth full of gold, the charismatic MC’s rapid ascent to style icon has made him the face of Harlem hip hop in the post-Dipset era. In advance of his appearance, he will join RBMA team member and BBC Radio 1 host Benji B for a Q&A on Wednesday, 8 April at St Pancras Renaissance Hotel in London. 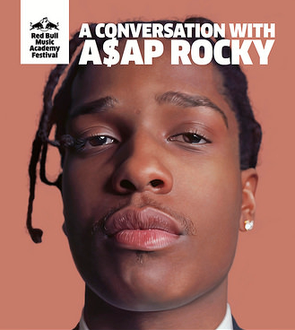 The event is part of the Red Bull Music Academy UK Tour and fans across the globe will have the opportunity to tune in to the live video stream online at redbullmusicacademy.com at 6:00 pm BST.